Following on from our last article, which asked the question why self publish or at least consider self publishing, today we’ll look at the advantages of publishing on the Amazon Kindle platform specifically. So what are the benefits of Kindle publishing? It may look complex if you’re unfamiliar with the terms and formats they use, but Kindle publishing is actually very easy. All it requires is a computer, internet connection and a properly formatted ebook, with a cover. By signing up to the Amazon Kindle publishing platform and submitting your ebook, you can have your book available and selling in less than 48 hours. With Kindle publishing, you never have to worry about shipping, book storage or printing costs. If you want, later, you can offer a printed copy too, but print on demand services (such as Amazon’s own CreateSpace) mean you never have to have a big, expensive print run. Why self publish? Well, these days, there’s no need to hire an agent or be taken on by a conventional publishing firm unless you want to. You’re your own boss, so you have the liberty of picking out your favorite genre and using your preferred writing style to write anything you want. You can write a novel on any topic or style, without the fear of an editor looming, saying they want a happy ending or marking your book with mandatory edits and revisions. Or you can write a non-fiction ebook about your favorite hobby, even if a traditional publisher has told you there’s no market for it. The global reach of ebooks means it’s easier and easier for ebooks on small niche topics to find buyers. This is a source of inspiration to countless talented writers out there who find sticking to the conventions of regular publishing genres to be a huge limitation. Kindle publishing has turned out to be highly beneficial for authors as it wipes out all of that “red tape” associated with traditional publishing. At the same time, platforms like Amazon Kindle have worldwide reach, giving your ebook the right exposure. In roughly 48 hours it is possible to have a great number of visitors finding your book online. With self-publishing on the Kindle, each ebook is assigned its own page on the Amazon website, together with product options including reviews and ratings. If you can get some great reviews, that can be a huge boost to your sales. And don’t forget people don’t need a computer to access the site. Mobile gadgets across the world can have unlimited access to your published content. This translates to instant exposure with little or no cost at all. With standard publishing, an author is lucky to get 5-10% of the sale price of the book. Self publishing through Kindle, at the time of writing, gives authors 70% for all eBooks retailing between $2.99 and $9.99, and 35% on books retailing at lower prices. For some authors who write and sell a lot of books, this can add up fast. 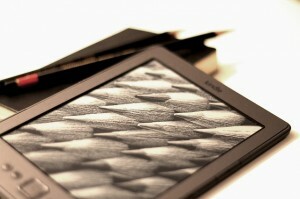 Many people are making fortunes by merely selling ebooks online and increasing the growing trend of Kindle publishing. Therefore, if you have a passion for writing, grab this opportunity and you, too, might make millions through writing. Hint: romance is where the money’s at, especially if you can write series! Of course, there were always ways to self-publish. You could take your book to a printer. But then how would you distribute it? That was always the hitch that made most self-published printed books die – usually with only a few sales to friends and family members. The costs of conventional self-publishing methods could run into hundreds, maybe even a thousand dollars or more, and you might never sell a single book. With Kindle self-publishing, there are hardly any costs. You might want to hire a professional cover designer, because a lot of people really do judge a book by the cover. Then there are the royalties remitted to Amazon – but those are only taken when a book sells. So, your overall expenses are little to none. Of course, this means you get to keep more cash and enjoy much more income from a successful book. You can also upload a new edition any time you want. This is big bonus over the old days, when if you spotted a typo on page 10 after the book was printed, you were stuck with it for the whole of the print run. Now you can simply revise your book, upload it and everybody buying from that moment forward will get the corrected version. Reading this article, you might think that Amazon was the only ebook publishing possibility, and that certainly is not true. Nook Press from Barnes and Noble is another great place to put your book. Smashwords is worth considering too – but neither of these has the global reach or customer base of Amazon, and that’s why we’ve focused mainly on the benefits of Kindle publishing in this article. Where can I get a book to publish? 2. Have someone else write one and buy the copyright or the right to publish it. 3. Take an old one that is out of copyright (e.g. Huckleberry Finn) and make a new edition of it by writing notes and such for it. Lamont, you don’t legally have to add notes and such, but you can’t sell on Amazon unless you have made the book unique in some way. They don’t want a lot of publishers selling the same old books that should basically be free, it gives them a bad reputation with customers. I do think children s authors have very valid concerns. And I m waiting to see how things play out for short story and novella authors. But if any group could actually benefit from this new system without having to release longer work, it seems like it would be nonfiction authors.